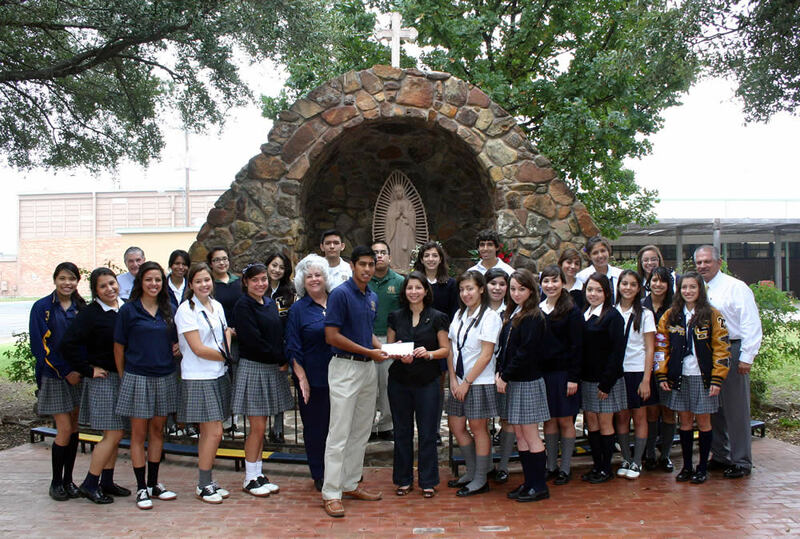 Holy Cross National Honor Society and Volleyball Team members presented a check in the amount of $1,114.95 to the American Cancer Society for cancer education, research and awareness. 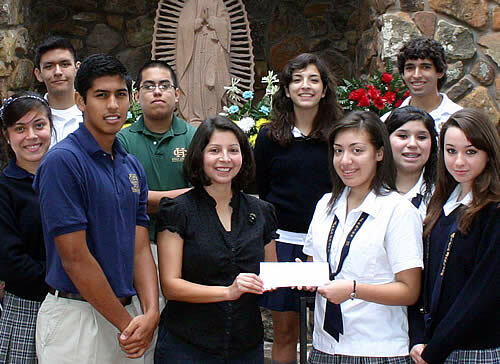 Ms. Ana Melissa Cavazos, Director of Development for the Southwest Region of the American Cancer Society, accepted the check on the organization’s behalf on Oct. 27. NHS and Volleyball team members raised the funds during the month of October which is National Breast Cancer Awareness Month. The school held a “Pink Out Day” where all students wore a pink t-shirt in solidarity with cancer survivors. Thank you to the National Honor Society and the Volley ball team for your participation in this very worthy cause. Your efforts are appreciated by all cancer survivors and their families. 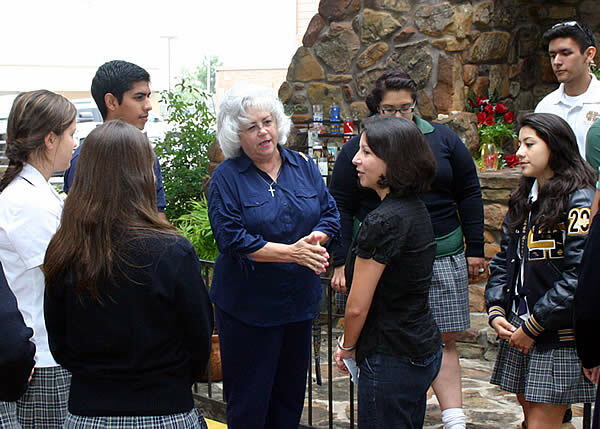 Keep up the great work, you make us proud to be members of the Holy Cross family and the West Side of San Antonio.